Process Engineers contribute unique engineering judgement to each successful enterprise. You are as unique as the diverse fields you serve. You bring your own honed engineering judgement to diverse plants to solve process problems. AIChE invites you to join a community of process engineers that values good engineering practice to define problems and come up with solutions. Join now. Working with AIChE and its foundation, process engineer Scott D. Love inspired the creation of this community. 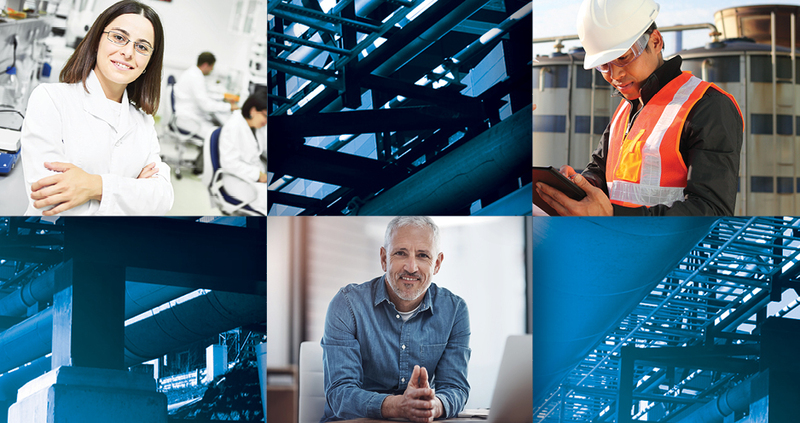 The goal of the community is to create a home for process engineers, a place to find content related to process engineering, about process engineers, and a future space for collaboration. AIChE invites you to join in and become a voice in a community of process engineering experts that spans and impacts the world. or any process intensive industry. Also, we'd like to profile process engineers, working in a variety of industries. These profiles will be presented on AIChE's blog and on this webpage. Are you interested in volunteering? Read the full interview Scott Love did with AIChE Foundation development director, Stephanie Viola. Process engineering lies at the heart of many industries and is critical to their success. The chemical engineering classes you took as an undergraduate provided you with the basic tools required to practice process engineering. Yet to be truly effective as a process engineer, you must understand the key elements in your particular process. Monica Wilson discusses what led her to the career choice of process engineer and talks about her work at Union Carbide and AkzoNobel. Want to know more about process engineering? Hear about this process engineer's career and profit from his insights on finding success in industry. Hear about Mike's career as he shares his insights on working as a process engineer. Professor Bilgili shares an insider's view into his role as a process engineer developing blockbuster drugs and how he later transitioned to academia. Welcome to the tenth in a series of AIChE blog posts profiling process engineers, a diverse group of professionals spanning multiple industries and regions.